Folders are the default organization method of Windows operating systems. But on many occasions the users lose control over their size, to such an extent that they start filling up the hard drive and they end up without any space for no apparent reason. 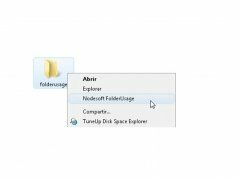 You can solve this problem with Folder Usage. 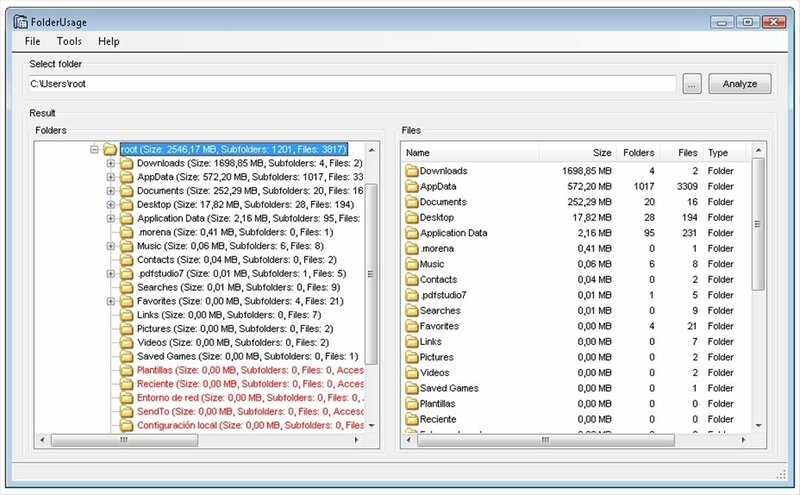 Analyze the contents of any folder on your PC. Find out the subfolders that it contains, the files and the size that they occupy. Integrate the program with the Window explorer's contextual menu to analyze folders instantly. Use all kinds of filters for the results. 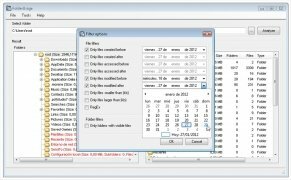 Using Folder Usage you will be able to quickly find out which folders have a large size and the reason causing it by view their contents. This will allow you to delete files which you don't require and therefore free space on your hard drive. Since it also shows the subfolders, you only have to select the folder in the interface and press the “Analyze” button. Depending on the size it will take more or less time, but once its finished you will be able to view a detailed structure. You can choose to view the size in bytes, kilobytes, megabytes and even gigabytes, open the files directly from the interface or eliminate them. It requires that Microsoft .NET Framework 4 or above is installed.